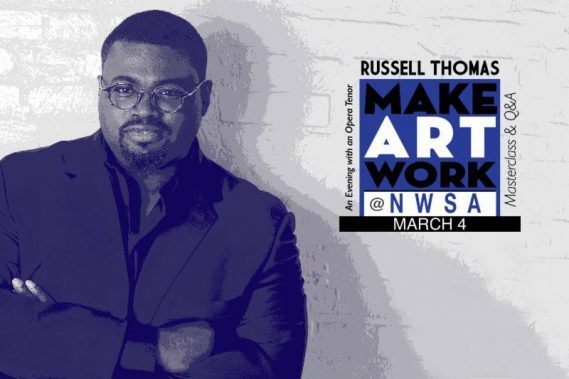 Continuing MAW through March, Russell Thomas, distinguished tenor and NWSA 1998 music alumnus, will present An evening with an Opera Tenor, working with singers from New World School of the Arts Music Division in a special masterclass to focus on voice technique and performance. The MAW Q & A session following the class will cover topics relating to Russell Thomas’ extensive career as an opera star. The session will be hosted by Dean of Music, also a NWSA music alumnus, Dr. Daniel Andai.